I found this image on Norc. 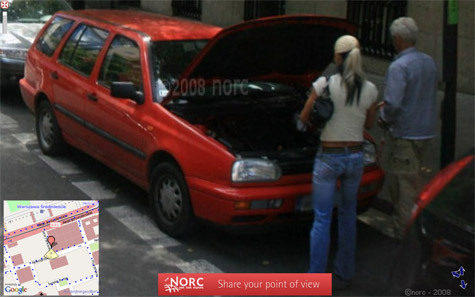 It is a company focusing on similar street view images as Google Maps streetview. So far they cover a lot of interesting cities in Romania, Russia, Austria, Poland and the Czech Republic.